I always wanted to try something other than an antenna as an antenna, so I decided to try to join our clubs topband net, whilst out portable and using a wire fence. 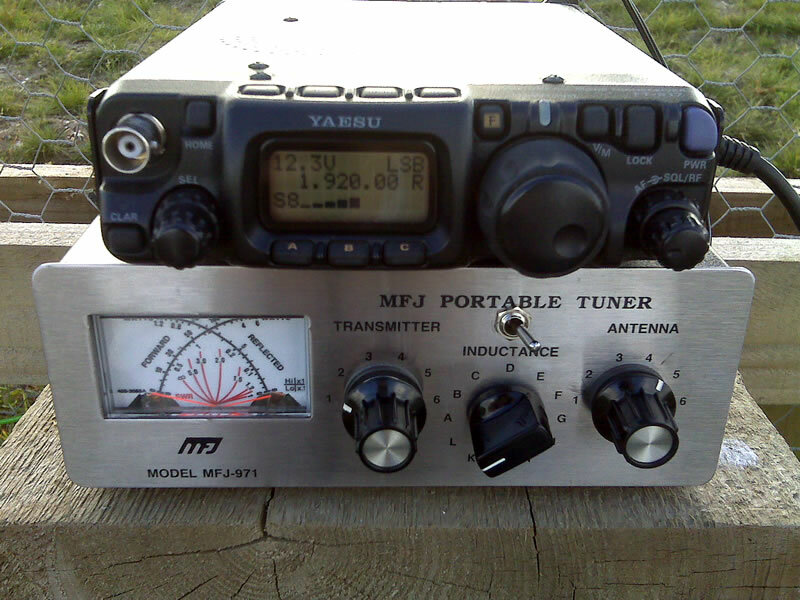 I spent the morning modifying my MFJ-971 portable tuner, by adding an extra inductor in the form of a T130-2 torroid, with 29 turns, in series with the main inductor inside. This is only in circuit when the tuner is in the highest inductance setting, where it will use the whole wire inductor and my torroid. MFJ say this tuner is for 1.8-30MHz, but its really 3-30MHz, unless youre tuning a 50Ω load! It now works nicely with most things on 1.8MHz. So, over to the country park I went, set up this tiny station, clipped my feed to the top piece of galvanised wire, and my ground to the lowest piece, and the mesh. To my surprise, it tuned easily, and worked ok to the local contacts. This fence is 1 metre high, and around 150 metres long. Now, i’m wondering what I can use next! John.